Can customer communities work for SMBs? Is all the noise about the value of customer communities particularly relevant to small companies? 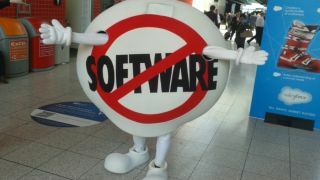 There's no doubt that business software giant Salesforce.com is committed to the cause. At its summit in London last week it launched Salesforce Communities to pull together business data and information from social portals, and one of the big issues at the event was the potential to build business on bringing in data from social networks and its Chatter collaboration platform. There's plenty of talk in business circles, especially the high end enterprises, about customer communities – tapping into online channels to find new business and work out what the market wants. Online communities can be good for starting discussions, making customers feel that a firm is taking notice, collecting data and generating leads. But they take time to develop and nurture, and in a small firm the amount of work involved is proportionately larger than for big companies where part of the marketing team can be devoted to the effort. They can also cost money: the Salesforce Communities deal kicks off at £320 per month for each community created – not much for a big firm but a squeeze for a cash strapped startup. Learning how to get business from any online community takes time, potentially a lot of it, and many small firms will struggle to show a decent return on investment in the short to medium term. No doubt there is a tipping point for almost any firm when it can begin to bring in the extra business, but does it come before the time and money spent becomes too much? It's set to become one of those risks on which a growing business may live or die.